Some news from the Traveler’s Notebook Forum on Facebook, thank you to Cassandra for the details. 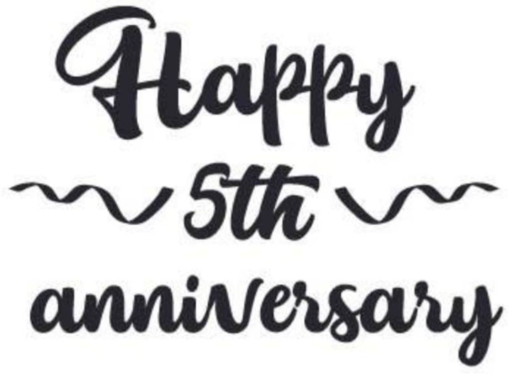 It’s late (the Anniversary is exactly a month away) and Cassandra has been super busy, but we can’t forget the 5th Anniversary of the TN Forum! Artisans of all TN items who’d like to be part of the Anniversary giveaway, please sign up here. We recommend a store credit if you prefer to not have to deal with possible insane shipping fees. Tell us what your offering please. We don’t need specifics. For example: $20 credit at (insert store name and link) or my store (insert name and link) will give away a TN (size etc isn’t needed) or my store (insert store name and link) will giveaway an insert/sticker bundle. We appreciate all you’ve given to the forum and love all the participation. With over twenty thousand members, the forum is a great place to be, with a great mix of people and a very friendly and social community. If you aren’t already a member, give it a try today.